I am exited to announce the launch of a brand new outlook for my Internet Information Forums which have been distributed via mailing lists like ALL-Friends, ALL-Jews, ALL-Americans, ALL-Indians etc. to bring you with the most interesting and important information that can affect your life in one way or another. I will be taking advise from experienced and knowledgeable people who have worked in the field of publishing and news editorial to support this venture. It will allow you to participate by sending in your own creations and provide your input into matters where you want to make a difference. There are many things wrong with the world we live in as well as many aspects that are great. We will cover all types of items to encourage positive ventures and provide critical appreciation. Provide the facts when there is conflicting information, and offer solutions based on practical requirements and common sense that will work for all. 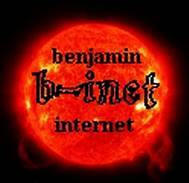 The sections separated by topics will allow you to browse articles by your area of interest presented by B-INET (Benjamin Internet) over the years since it started and will continue to add many new ones that affect our daily lives. While most of the design is in my head, I will be working feverishly in the coming weeks to put together a template that will offer a easy way to access this information and search for its contents based on what your interests are. THE MOST IMPORTANT THING is that you will be part of this venture when you contribute to this forum either by sending your own interesting items or enhance any existing ones. As always we will solicit your comments suggestions and any feedback that you may have to offer to help launch this project. An intellectual ^^ is a person who uses intelligence (thought and reason) and critical or analytical reasoning in either a professional or a personal capacity. A person involved in, and with, abstract, knowledge based ideas and theories. A person whose profession (science, medicine, literature) solely involves the production and dissemination of ideas. I hope to have the support and blessings of my readers in this project. IN PURSUIT OF PERFECTION !!! Protect the earth - Wild life and nature will pay back dividends !! !